The Supreme Court has observed that prisoners on death row should be allowed to have meetings and interviews with his lawyers or members of his immediate family or even mental health professionals. 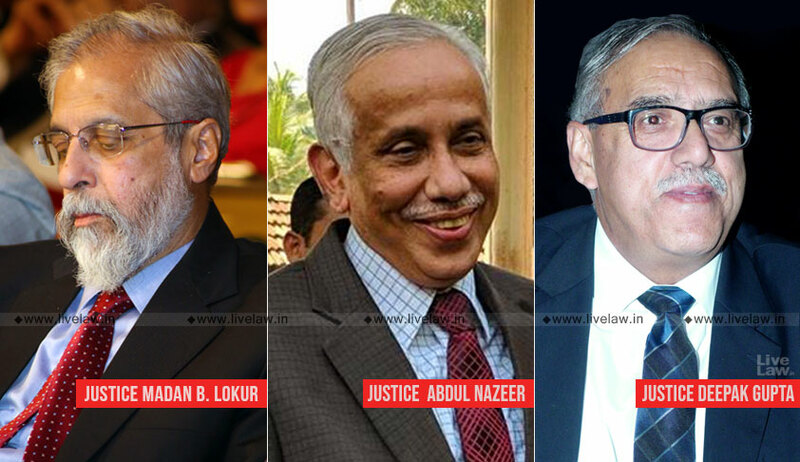 The bench comprising of Justice Madan B. Lokur, Justice S. Abdul Nazeer and Justice Deepak Gupta were considering some applications in Re: Inhuman Conditions In 1382 Prisons. These applications prayed that prisoners sentenced to death by any court have a right to be treated at par with other convicted prisoners and should be provided all similar facilities as are provided to other prisoners and that solitary confinement of prisoners on death row or their separate and cellular confinement be struck down as unconstitutional. Referring to Sunil Batra case, the court observed that a prisoner under sentence of death can only mean a prisoner whose sentence of death has become final, conclusive and indefeasible and which cannot be annulled and voided by any judicial or constitutional procedure. The bench also held that convict on death row is entitled to move within the confines of the prison like any other convict undergoing rigorous imprisonment. As regards the issue of meetings and interview of a convict on death row, the bench followed the observation made in Frances Coralie Mullin v. Administrator, Union Territory of Delhi. In the said judgment, it was held that a prisoner is entitled to have interviews with members of his family and friends and no prison regulation and procedure to the contrary can be upheld as being constitutionally valid under Articles 14 and 21 of the Constitution unless it is reasonable, fair and just. The bench added that rights of prisoners would be available not only in a particular State but would be available to them in all the States and Union Territory Administrations across the country. It also directed the Governments and Union Territory Administrations to modify the prison manuals, regulations and rules accordingly. The bench then requested Justice Amitava Roy Committee to look into all the issues raised in the application in greater depth in addition to its Terms of Reference.